The Danbury Whalers are paying tribute to the victims from Newtown, Connecticut. Danbury CEO and Managing Partner Herm Sorcher issued an eloquent statement detailing the team’s efforts to assist their neighbors in Newtown, which include a teddy bear collection and fund-raiser. 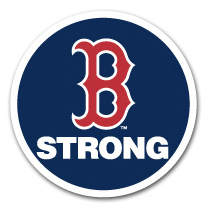 The team will also be wearing a special patch recognizing Newtown and Sandy Hook Elementary School. Adam Greenberg, of Guilford and formerly of the Bridgeport Bluefish, has signed a minor-league contract with the Baltimore Orioles. ESPN.com news services has the story. Greenberg was the subject of attention this past fall, when his “One At Bat” campaign led to a single plate appearance for the Florida Marlins. Jeff Jacobs of the Hartford Courant writes that although uncertainty surrounds UConn sports and the Big East, Jim Calhoun and Geno Auriemma are continuing to fight for the university. In a somewhat related story, Don Amore of the Courant reports that UConn and Kevin Ollie have made no progress on a long-term contract for the first year coach. In my opinion, the uncertainty surrounding the Big East combined with Ollie’s performance thus far requires UConn to lock Ollie in with a long-term deal or risk losing him and finding that UConn isn’t as attractive a job as it once was. « Could the Big East Breakup Land in Court?